The Missouri History Museum is one of many arts institutions in the St. Louis region. Lee Rosenbaum is a cultural commentator who writes the award-winning blog, CultureGrrl. Her work has been featured in numerous media including the Wall Street Journal, New York Times and NPR. Rosenbaum is in St. Louis this weekend as part of the Greater St. Louis Humanities Festival. Her lecture, hosted by Laumeier Sculpture Park and taking place at the Contemporary Art Museum, is entitled, Monetizing Culture: Will Museums Fall off the Fiscal Cliff? Host Steve Potter talked with Rosenbaum about her upcoming lecture and the state of museums. Greater St. Louis Humanities Festival and Laumeier Sculpture Park Present Lee Rosenbaum in "Monetizing Culture: Will Museums Fall off the Fiscal Cliff?" Contemporary Art Museum of St. Louis, 3750 Washington Blvd. Greater St. Louis Humanities Festival "Money, Money! Need, Greed and Generosity"
When it comes to successfully or unsuccessfully governing and managing communities, leadership decisions can make or break a city or region. 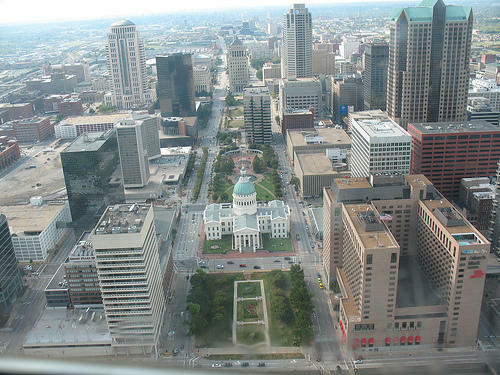 St. Louis has been cited as a city “that let greatness slip away over the 20th century.” That’s the contention of Colin Gordon, Professor of History at the University of Iowa, in his book, Mapping Decline…St. Louis and the Fate of the American City.